Before Creating a Financial Plan, You Need to Know Your Goals! You Need to Determine the "Why" for Your Investing and Saving. 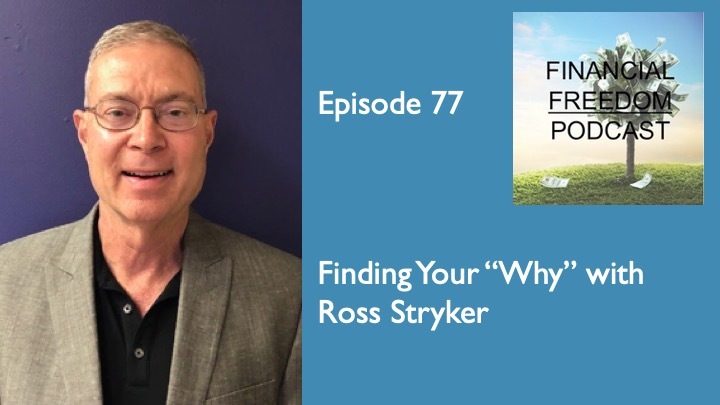 Let Ross Stryker Help You Find Your "Why" in This Episode! Before anyone sets out to find financial freedom, they need to understand what that term means to them, as it is different for everyone. This definition can depend on your financial goals, both now and in the future. Do you want to retire or keep working? Do you want to travel? The financial strategies for each can be different, and it is better to know that now rather than later. That’s why in this episode of the podcast I talk with Ross Stryker, the CEO of Smart Asset Opportunities to get his thoughts on defining financial freedom, “Finding Your Why,” and making the right plan for it now.